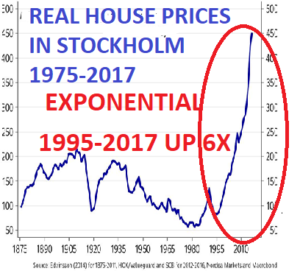 The triggers for such a major reduction could be manifold like war, epidemic disease, economic collapse leading to poverty and famine or a combination of these events. For example, around 1340-50 there was the Black Plague that reduced the European population by up to 60% and world population by an estimated 30 to 50%. Likewise, a collapse of the financial system, which is not improbable, would be cataclysmic for the world. It is absolutely clear that one or several of these events will take place in coming years but when exactly is of course impossible to say. Depending on the magnitude of the problem, including the geographical spread, it is very difficult to prepare for it for normal people. Very few have their private jet and residences in many parts of the world. However, for people who have savings, now is the time to take defensive measures if you haven’t already. I know of very old family wealth who for hundreds of years have kept their wealth in property, art and gold with 1/3 in each. With productive land, this has of course been a superb portfolio and will continue to do very well during the coming downturn. Gold and agricultural land are real wealth preservations assets whilst some art today is a bubble asset and therefore will suffer. But 2/3 of the assets in this family’s portfolio are likely to preform extremely well in coming years. A contrarian or a risk averse investor can today look at any chart of stocks, bonds or property which will all tell him that we are now at extremes. On a risk / reward basis, very few investors make money by buying in the very final stages of a move. Yes, it is true that anyone who bought into the Nasdaq in early 1999 had more than doubled his money by March 2000. The problem is that more than 95% of investors stayed in at that point and most did not get out until they had lost 50-80%. 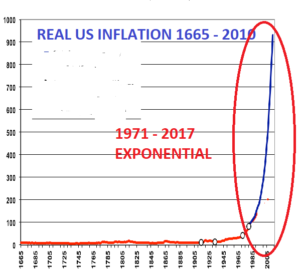 As the superb Chairman of Sprott USA, Rick Rule, stated at the New Orleans Investment Conference last week: “Either you are a contrarian, or you will be a victim”.The reality is that most people will be victims in coming years. Very few will realise that what we will see next is the end of a major era or cycle of a major degree. 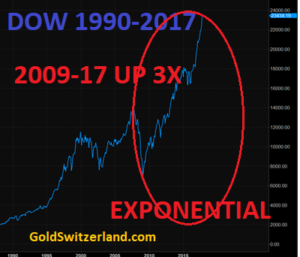 Whether it is a 300 year cycle or a 2,000 year cycle doesn’t really matter. Historians will know afterwards. What we need to focus on today is to protect ourselves against these risks rather than to become victims. Back in 2002, we decided as a company that risk in the world would accelerate in coming years and it was the right time to protect ourselves and our clients. Gold was at that time unloved and undervalued. It had been going down for 20 years and nobody was interested. Gold bottomed in 1999 at $250, having gone down from the $850 peak in January 1980. 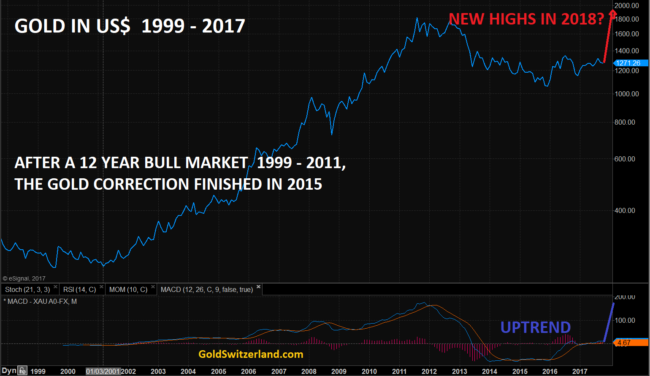 The average investor obviously did not get very excited that gold had gone up $50 since 1999 and was $300 in February 2002. That was when we decided to put a significant percentage of our own funds as well to recommend to our investors to do the same. This is a typical contrarian investment. You buy an asset that is on nobody’s radar screen and in the case of gold in 2002, 65% below its peak price 22 years earlier. But it is of course not enough just to buy something which is cheap. What you buy must also have an intrinsic value and the potential to grow substantially. 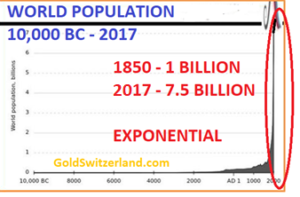 Gold’s role as the only money that has existed and survived for almost 5,000 years makes it clear that function is likely to continue for many thousand years to come. The post Only Contrarians appeared first on LewRockwell.